Thanks for a wonderful stay in your beautiful lodge. We’ve loved every minute of our time in Shetland! 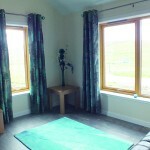 Nortower Lodges offer luxury accommodation on a working Shetland croft. The two newly built lodges, Boitan and Holsas, are located in the beautiful coastal area of Aithsetter, on the South Mainland of Shetland. From this peaceful setting, visitors can enjoy magnificent views of the surrounding area. There is an abundance of wildlife, flora and fauna right on the doorstep so any walk will be rewarded by the amazing sights and sounds of the islands. Both lodges are stylish, modern and furnished to the highest standard. Our own new farm shop and café is situated close by. They are situated near a bus route and beaches. 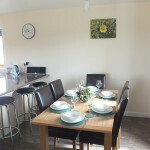 A modern, fully fitted kitchen with fridge, dishwasher, electric oven and hob with extractor fan, microwave, toaster, kettle, caffetiere, cutlery and crockery. Furnished with table and chairs (seats six) and four bar stools. A high chair and children’s utensils are available on request (at no extra cost). Ecover clothes washing liquid and cleaning materials are supplied. Fairtrade tea, coffee and sugar is supplied plus salt, pepper and oil. 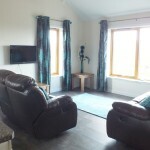 Relax in the comfortable and tastefully decorated lounge, with reclining leather suite , coffee table, bookcase, TV with Freeview, DVD player, CD/Radio and ipod player, books, DVD’s and games. Free wifi is available. 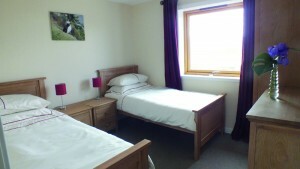 Beautifully decorated and elegantly furnished bedroom with Shetland wool carpet, king size bed and mattress (synthetic bedding provided), double wardrobe, bedside cabinets, hairdryer, dressing table, mirror, reading lamps and bedside lamps. 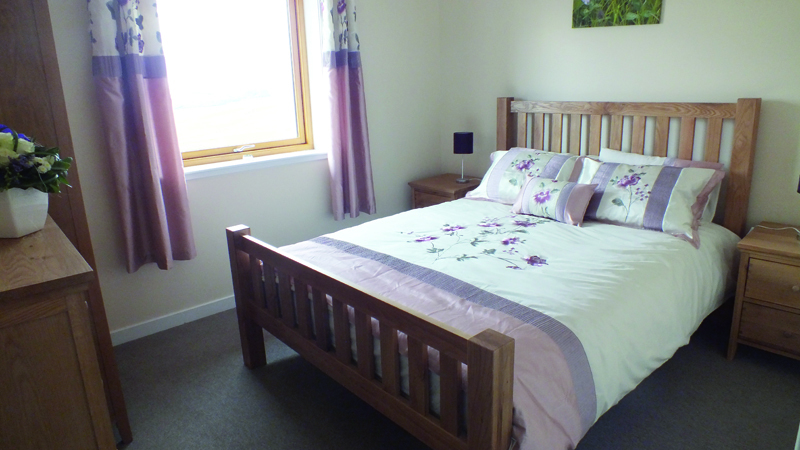 Beautifully decorated and elegantly furnished bedroom with Shetland wool carpet, two single beds with mattresses (synthetic bedding provided), double wardrobe, bedside cabinets, dressing table, mirror, reading lamps and bedside lamps. Travel cots and bedding, camp beds and bedding and high chairs are available on request (at no extra cost). Cupboard with heating manifold and shelves. 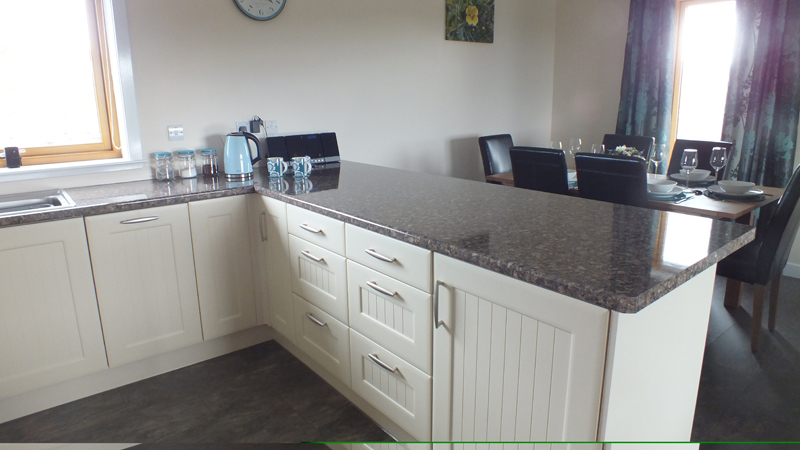 Fitted units, sink and drainer, washing machine, tumble dryer, suspended clothes airer, clothes pegs, iron, ironing board, vacuum cleaner, brush and pan, Ecover washing liquid, a torch and coat hooks. 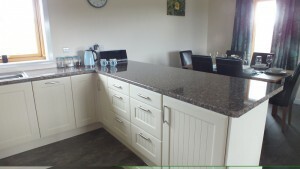 Towels, toilet, vanity unit with fitted sink, fitted shower, wet wall fitted, flooring. Ecover hand wash and 2 toilet rolls are supplied. A shower stool and hand grip are available at no extra charge. A wooden table and seats are situated in a secluded area for outdoor eating and relaxing. A ramp leads up to the door creating a beautiful entrance to the lodge. A washing line is in place, next to the ample car parking area. Compost bins are located near to the washing line. A secure lockable shed is available on site for guests to use for bicycles, bikes, footwear, fishing/golfing supplies, etc. Recycling bins are located in the shed. A children’s playhouse is located at the front of the shed and is complete with toys, games, etc. Opening in Spring 2017 our new Farm Shop & Café are situated a short walk from Nortower Lodges. 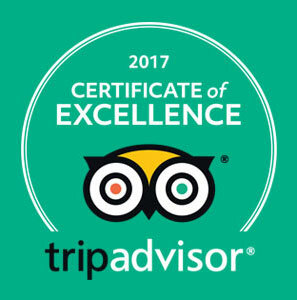 Serving and selling our own produce and locally sourced produce we offer our guests a discount voucher for use as a thank you for staying with us. Gifts, knitting, souvenirs, local crafts, etc. will all be available. 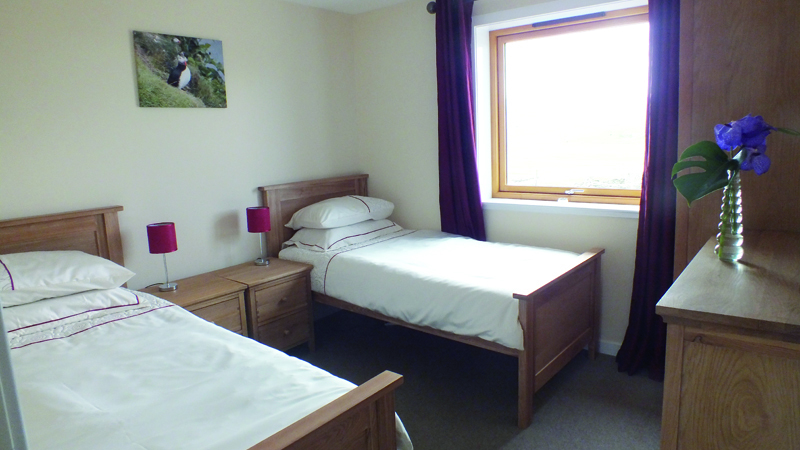 There is ample parking, free Wifi, toilets, visitor information and local knowledge all on site.